Marc Roberts, the popular Galway based singer, songwriter, and broadcaster, won solo artist of the year at the recent Sunday World Country Music Awards in Mullingar. Marc received the award in recognition of his acclaimed tribute shows to the music of John Denver, his live performances, and his songwriting. 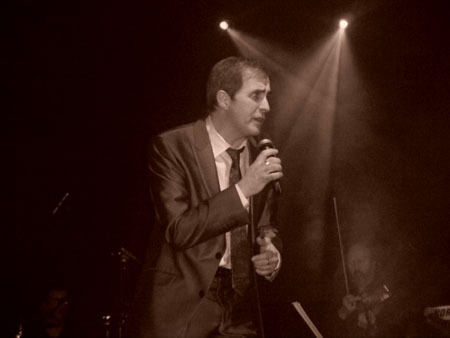 At the awards ceremony he sang Denver’s ‘Annie’s Song’ and ‘Crush On You’, which Marc co-wrote with Daniel O’Donnell. Daniel O’Donnell also attended the awards ceremony and was presented with the Lifetime Achievement Award.